Obituary for Ruth S. (Buss) Cochran | Brooks Funeral Home and Cremation Services P.C. Ruth S. Cochran, 107, of Danville, passed away Monday, January 14, 2019 at Vintage Knolls-Assisted Living, Danville, where she had been residing. 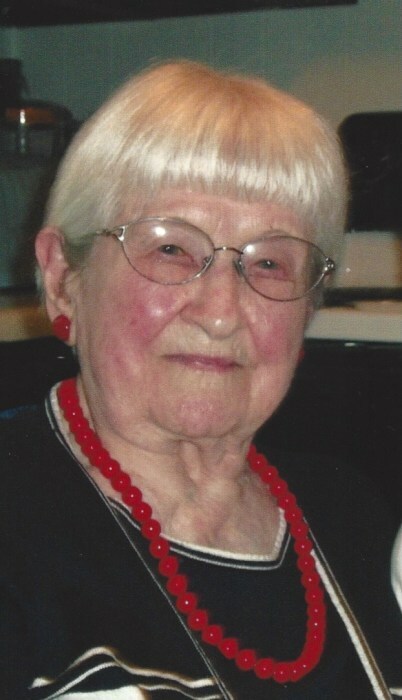 Born January 6, 1912 in McEwensville, she was the daughter of the late Charles and Caroline (Mohr) Buss. On September 8, 1930, she married Wilbur L. Cochran, and they celebrated 36 years of marriage until his passing on March 3, 1966. Ruth and Wilbur ran Cochran’s Service Station in Turbotville from 1940 to 1957. She also worked for Follmer Trucking as a secretary; she retired from Penn Dot working in the Danville office. She was a member of Trinity United Church of Christ, Turbotville. Ruth is survived by her son and daughter-in-law: Raymond L. and Dorothy Cochran, of Turbotville; five grandchildren; 5 great-grandchildren; and 10 great-great-grandchildren. Besides her husband and parents, she was preceded in death by her, daughter: Joann Sakaguchi; three brothers; and four sisters. There will be a graveside service announced at a later date, held at Twin Hills Memorial Park, Muncy.